It’s that time of year! BrightonSEO is right around the corner… and we’ll be there! In anticipation of the big event, we took some time to talk with Kelvin Newman, founder of BrightonSEO and Rough Agenda, to talk about the conference, 2016’s exciting speakers, and what people should expect to find in Brighton this year. 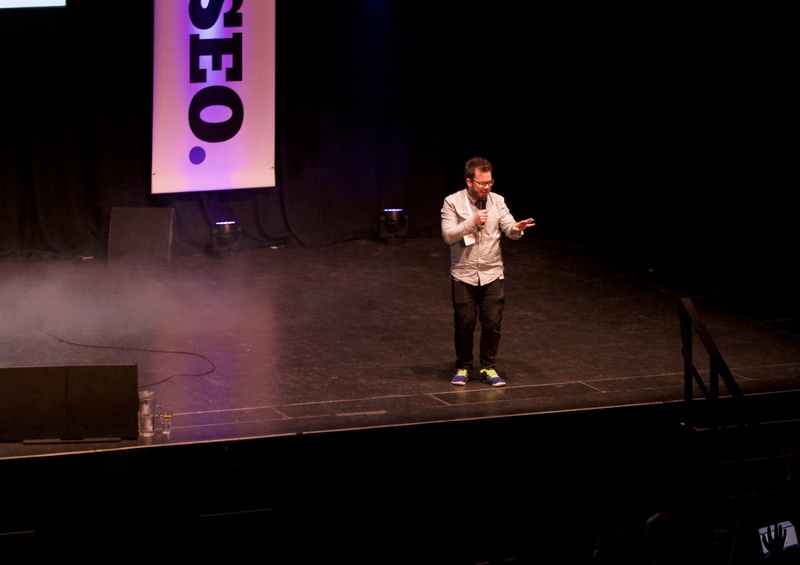 What is BrightonSEO and where did it come from? Look no further than the man behind the SEO conference himself, Kelvin Newman. First, tell us about yourself! Where to start! 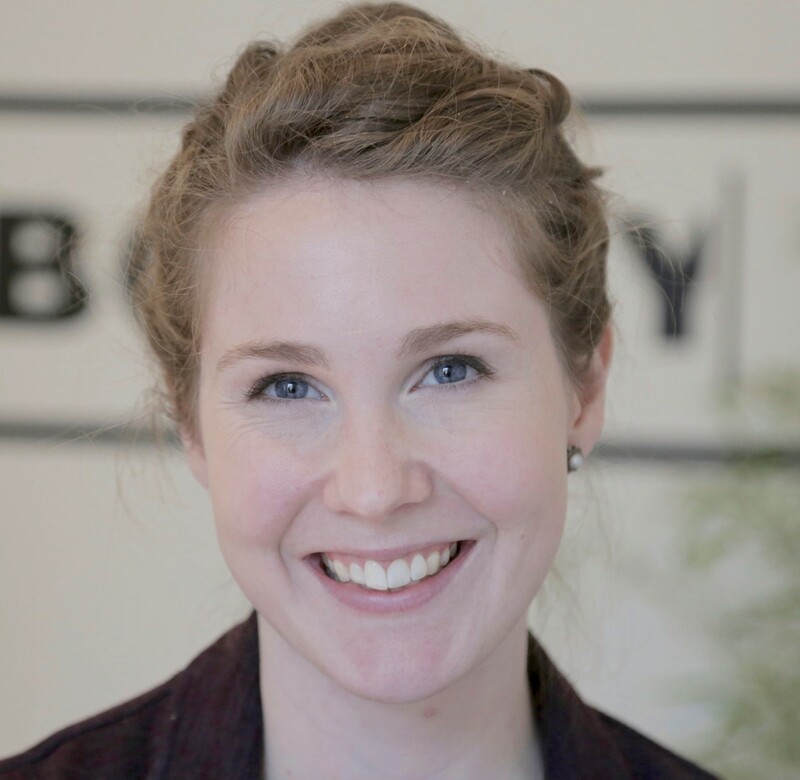 I am currently the Founder and Managing Director of Rough Agenda which is also the company behind BrightonSEO, of which I am also the Founder. In addition, I am also the Co-Founder of ClockworkTalent; a digital marketing recruitment agency. I actually started off as a trainee in 2006 at Brighton-based SiteVisibility where I gradually worked my way up to become Director of Strategy and hosted, and continue to host, SiteVisibility’s Internet Marketing Podcast - the most popular marketing podcast in the UK with well over 1m listeners. I’m not great at blowing my own trumpet but I’ve also been previously voted by Econsultancy as the Most Influential Individual in Digital and in 2013 I also won the Search Personality Award at the UK Search Awards. What are you most excited about for this year’s conference? With absolutely no disrespect to any of the past speakers, the line-up for our first event at The Brighton Centre excites more than any of our previous conferences. Amongst them we’ve got Malcolm Coles, Director of Digital Media at the Telegraph Media Group; Paul Curry, Editorial Developer at BuzzFeed; Lexi Mills, Global Head of Communications at PledgeMusic; Aleyda Solis, International SEO Consultant at Orainti; and Will Critchlow, Founder at CEO at Distilled. How many delegates are you expecting this year? This is the scary part. We’ve gone from 1,700 at The Brighton Dome to 3,500 at The Brighton Centre. Tickets sold out in 13 minutes and we are once again expecting visitors from across the UK, Europe, and even beyond that. What has been the biggest challenge moving from the Dome to the Brighton Centre? I guess initially the main worry and challenge was filling the place up! I had visions of this huge venue being half-empty but that was my own self-doubt creeping in. It was hard leaving the Dome; that’s where the conference matured and there will always be a romance and sentiment about the place for us. However, in order for us to grow we simply had to relocate to The Brighton Centre and we are damn excited about it. Would you recommend SEO's from Europe attend? Hell yes. We have had people from as far as India and Australia visit us before. Now, without sounding too political, I feel it’s important for us to show a united front and demonstrate that - despite the vote to leave the EU - the digital marketing industry is one that operates and will continue to operate firmly on an international basis. All of us working in the sector across the continent have a unique ability to create and share ideas with one another which makes the industry what it is - innovative, creative, and imaginative. Peer-to-peer mentoring and collaboration is what makes the digital marketing industry tick and that goes for us in the UK and those based in Europe. Sadly none of the free ones. This is obviously a good thing from our perspective but disappointing for anyone who has decided to come last minute. The conference is very popular and tickets do get snapped up fast. My recommendation will be to join the waiting list by visiting http://www.brightonseo.com/. With that said, we do have ‘Friend’ tickets remaining priced at £100 which do come with various perks such as priority seats in oversubscribed sessions and a guaranteed ticket to the next conference. I simply cannot emphasise enough the vast array of choice which Brighton boasts when it comes to bars and restaurants. The list is endless and delegates will find anything to suit their needs, from Argentine grills to Spanish Tapas to Caribbean-themed beach bars. Who has been your favorite speaker over the years? Dave Trott’s two talks at the conference have become conference folklore. Although I also loved Malcolm Cole’s talk a few years ago and I’m really pleased to have him back for September’s event. Coffee - I love a good flat white. Tough one. However, you can get pretty decent themed kites these days including one as the Millennium Falcon from Star Wars so that’s me sold. Did I mention they do Millennium Falcon kites? No, seriously, just a massive thank you to all our dedicated supporters, fans, followers, attendees, sponsors, speakers, colleagues, and anyone else who has lent their support to us over the years. The list is so long. We started this event in very humbling beginnings - upstairs in a pub with presentations on a (very) wonky whiteboard! We never envisaged selling out the Brighton Centre and a capacity of 3,500. Whilst I can’t hide from the fact that a hell of a lot of my own blood, sweat and tears has gone into this, it couldn’t be achieved without the support of the aforementioned list of people. The UK’s biggest SEO event is coming up - Friday the 2nd of September. And this year, it’s bigger and more exciting than ever. Why? Because Botify will be there! Oh, and because the event has moved to the prestigious Brighton Centre for a series of exciting conference sessions and engaging speakers, including our very own Mark Thomas. Mark, our VP of Growth, will take the stage to ponder the value of log files in his session, Log Files: 5 critical Tech SEO questions your logs can answer. Log analysis should be the foundation of any good SEO strategy. Not convinced? Mark’s presentation will show you why. 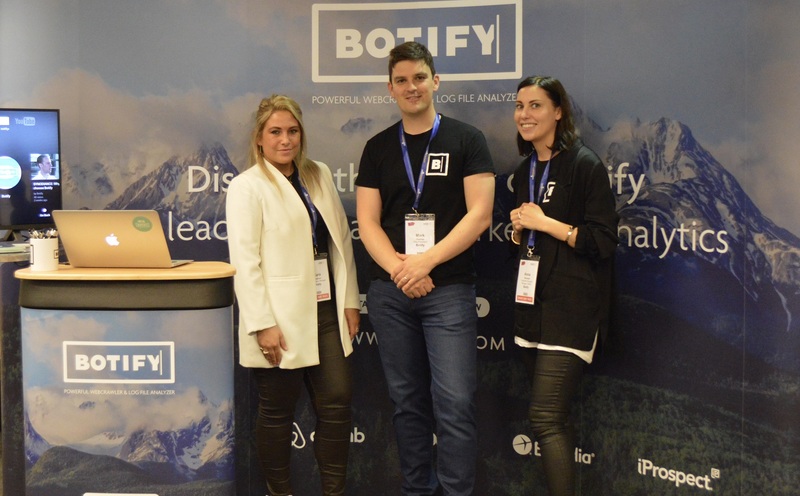 Listen in as Mark proves the value of Log Analysis for SEO, and then come visit us in the exhibition hall at the Botify booth (and get your Botify frisbee for the big Kite vs. Frisbee showdown)! We can’t wait to see you at BrightonSEO. Thanks again to Kelvin Newman for talking with us! We’ll see you soon at BrightonSEO, September 2nd 2016 at The Brighton Centre. Pick a Page: See all data for 1 URL!